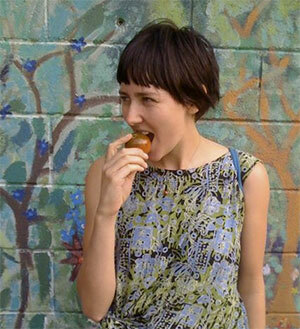 Alice Glenn is an entrepreneurial and collaborative leader in the community arts space in Melbourne and is an artist, curator, dancer and music video director. Alice is an orchestrator of collaboration. She connects with other artists, connects artists with each other, and explores the boundaries of cross-disciplinary collaboration. Alice has a real commitment to supporting emerging artists to make these connections and is committed to community arts and cultural development. Alice is President and Creative Director of Schoolhouse Studios, a not-for-profit organisation that provides support to artists and creative business in Melbourne. Alice is also the co-founder of No Lights No Lycra, a global dance community that began in Melbourne in 2009 and has since spread to 42 cities around the world. In 2012, Alice curated Place of Assembly a large-scale exhibition that was included in the 2012 Melbourne Festival program. Other career highlight include: Choreography and Creative Direction of Choreomania/ The Dancing Plague Austhetic Late Night Programming with the City of Melbourne and Co-Curator of Eat Your Art Out, a month long exhibition involving a Chef and Artist collaborating to create edible art in the form of a dessert. Alice’s achievements to date reflect the values and principles that underpin her artistic practice and leadership. At the core of all initiatives Alice is passionately committed to the values of inclusiveness and diversity. She has a passion for working with young people and emerging artists – those often excluded and marginalised from mainstream and established arts scene. She is dedicated to using her creative and leadership strengths to foster collaboration and build connections between artists and communities from the grassroots to the global level.